NWTF Urges Presidency to Prioritize Women’s Participation in Politics .:NWTF:. Female aspirants from different political parties in Nigeria converged at the National Centre for Women Development (NCWD) for Women Political Aspirants Advocacy Summit in Abuja on 30 August 2018. The event themed “Increasing Women’s Participation in Nigeria Democratic Process” was organized by the National Council for Women Societies (NCWS) and Women in Politics Forum (WIPF) in Collaboration with the Office of the Wife of the President. 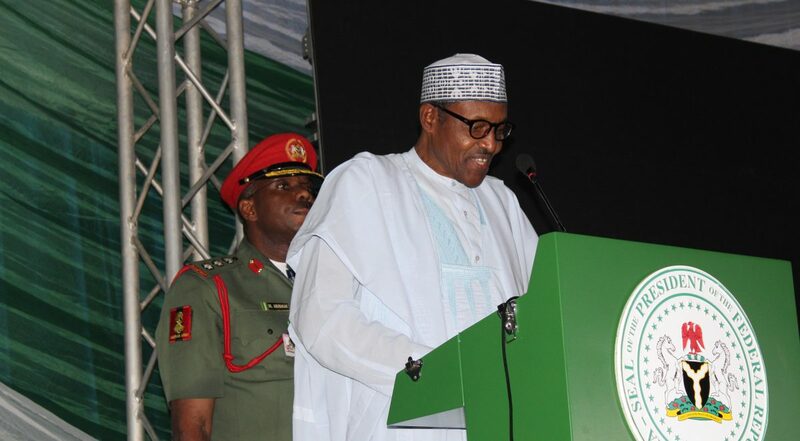 In his opening remarks, President Muhammadu Buhari, who was present at the event called on political parties to ensure conducive atmosphere for women aspirants in the forthcoming 2019 General Elections. In his words “Politicians rely on women voters because their word is usually their bond. Women stand by candidates they believed in all the way. So, politicians do a lot to gain their confidence”. He assured Nigerian women of his commitment towards increasing the participation of women in both leadership and appointive positions in the country. Highlighting the importance of women in politics, the wife of the President, Hajia Aisha Buhari charged women not to be discouraged as they aspire for different political offices in order to have a say in the decision-making process in the country . She further called on women to support one another, especially when more than one is vying for the same position. She concluded by appealing to political parties to implement the 35 per cent affirmative action by ensuring effective gender mainstreaming in the affairs of their party. In her goodwill message, The CEO of Nigerian Women’s Trust Fund Mrs. Mufuliat Fijabi lauded the timeliness of the event as an apt follow up to the summit of women aspirants jointly organized by Women in Politics Forum, Nigerian Women’s Trust Fund and Women Radio on 31 July 2018. She affirmed that the occasion not only proves that women are supportive of one another but united in the struggle for increased representation of women in Nigeria’s strive towards a strong and gender responsive democratic process. “As we move closer to the 2019 General Elections and with the political primaries on going, now is the time to focus, aim and collectively strategize and amplify our voices to ensure that more women move beyond aspirants and emerge as candidates that can context at the 2019 General elections” she stated. Also speaking during the Event, the CEO of Women Radio, Ms Toun Okewale Sonaiya emphsised the need for women to work collectively by supporting, voting and praying for women aspirants and candidates. The President of Women in Politics Forum, Ms Ebere Ifendu during the Summit called on political parties to commit to advancing women political participation by creating a level playing ground that will ensure that more women emerge as elected representatives. 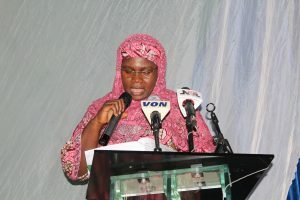 The event was also graced by the Director General of the National Centre for Women Development (NCWD)- Barr. Mary Ekpere-Eta, Wife of the Vice President – Mrs. Dolapo Osinbajo, Wife of Bauchi State Governor- Hadiza Mohammed Abubakar, Chairman of the event- His Royal Highness Appolos Chu, Mr. Sentel Barnes – Chief of party International Republican Institute (IRI), Mrs Remi Sonaiya- Female Presidential Aspirant, Alhaji Mohammed Lawal Nalado – IPAC Chairman, Hon. Adams Oshiomhole-APC National Chairman and other dignitaries.